Tyler, TX, it’s your time to get acquainted with the all-new Dodge Challenger. This car has serious muscle and a sharp attitude that backs up its performing abilities. Get in on the sports car that has been hitting the streets since the 70s when you visit the team at Palestine Chrysler Dodge Jeep Fiat. Ramp up your drive when you take on the streets in the new Dodge Challenger. Serving up a performance that is second to none, the Dodge Challenger silences even the toughest sports car critics. A standard 3.6L Pentastar V6 engine is going to give you an incredible 30 MPG highway so feel free to sit back and really enjoy the journey. You will also be able to experience up to 305 horsepower and 268 pound-feet of torque when you find yourself buckled into the driver’s seat of the Challenger. Bring the power and prestige of your Dodge Challenger to your next trip. The Dodge Challenger is a sports car that delivers the goods each and every time you find yourself behind the wheel. The Challenger gives you a current style while still embracing the muscle cars of the past. Modern elements like UCONNECT, hands-free calling, SiriusXM and keyless entry are just a few of the ways that the Challenger takes tech above the norm. You will never be disappointed with your choice to fall for the all-new Dodge Challenger. 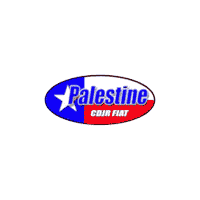 The Palestine Chrysler Dodge Jeep Fiat crew has one goal in mind: your complete happiness. We will work hard to get you the exact Dodge Challenger to fit both your lifestyle and your budget. We are honored that you would choose us as your Dodge dealership and promise to live up to your expectations. When you visit, you’ll love our state of the art facility including sales, service, parts and financing departments. We always put the customer as our #1 priority and know you’ll be pleasantly surprised by the way we do business. The team at Palestine Chrysler Dodge Jeep Fiat couldn’t be any more excited to work with you and get you into the perfect Dodge Challenger. We are here Monday through Saturday in order to answer any questions you may have, to show you around the Challenger, to take you on a test drive or help get you started with the purchasing journey. We know you’re going to rock the Challenger from day one plus you’ll have a blast taking it on adventures around Tyler, TX and beyond. Visit our dealership and be taken care of from the time your footsteps in the door until the time you drive off into the sunset in your new Dodge Challenger sports car. Fast is fun, but sometimes you need to slow down and enjoy life. 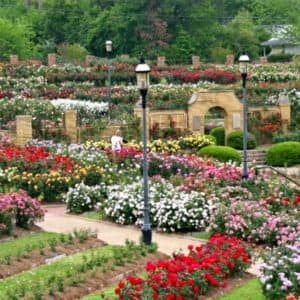 The Dodge Challenger can not only take you from zero to sixty in seconds flat, but it can also be the leisurely cruiser that takes you to scenic places like the Tyler Rose Garden. Take a ride on the wild side and see all that nature has to offer when you cruise on down to the rose garden. Take in the view, smell the sweet blossoms or take time to relax. You can do it all in the Challenger.